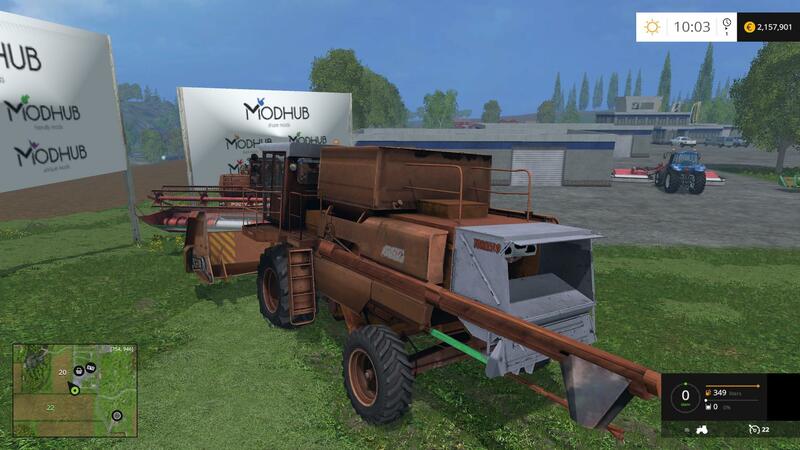 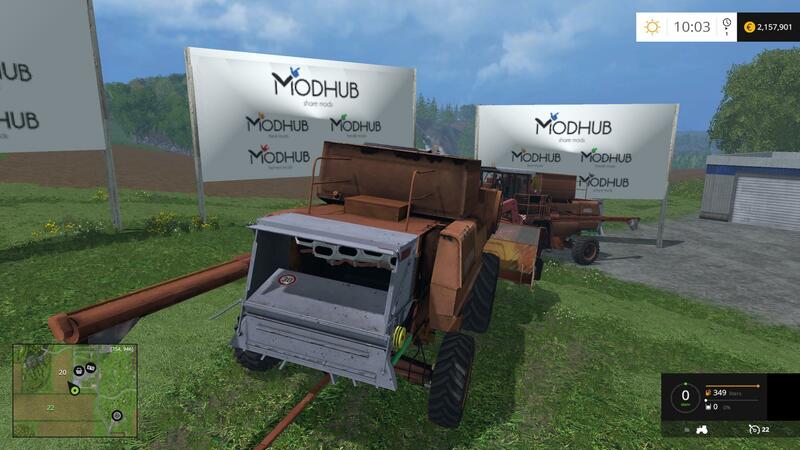 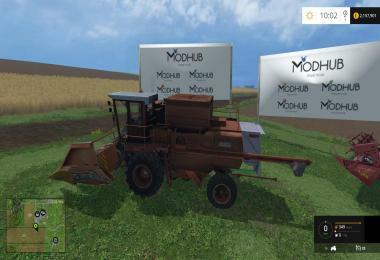 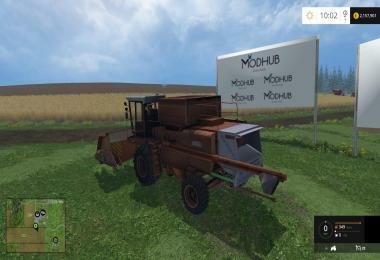 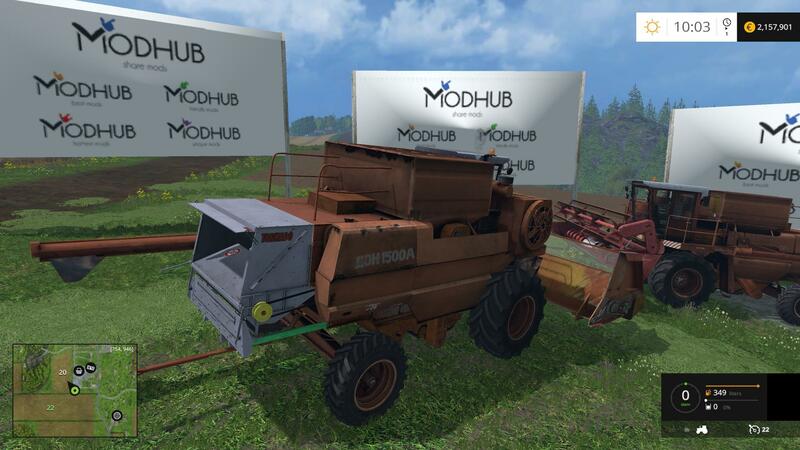 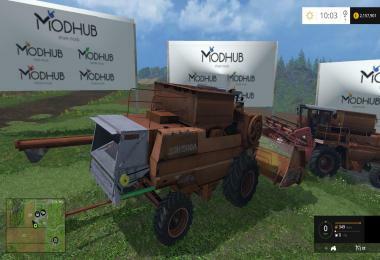 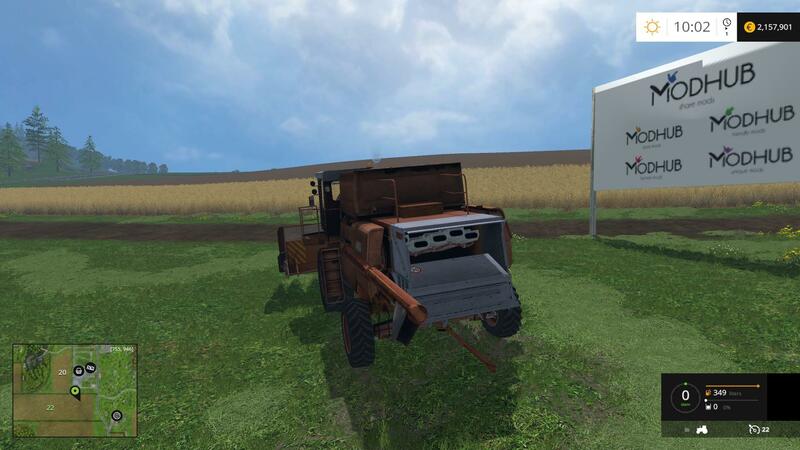 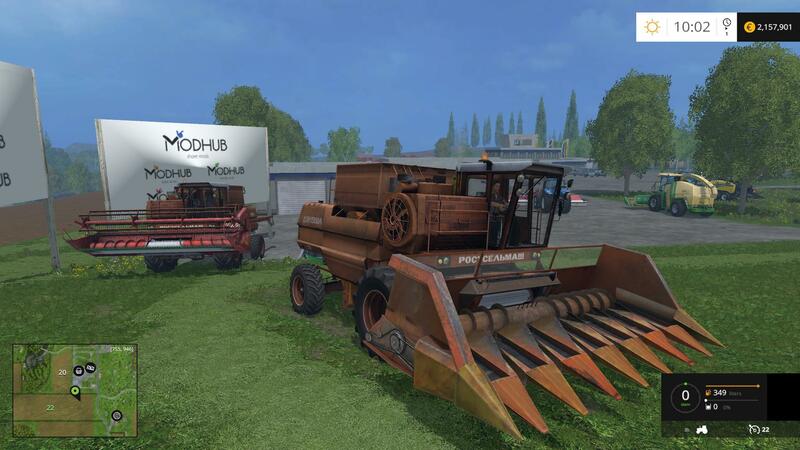 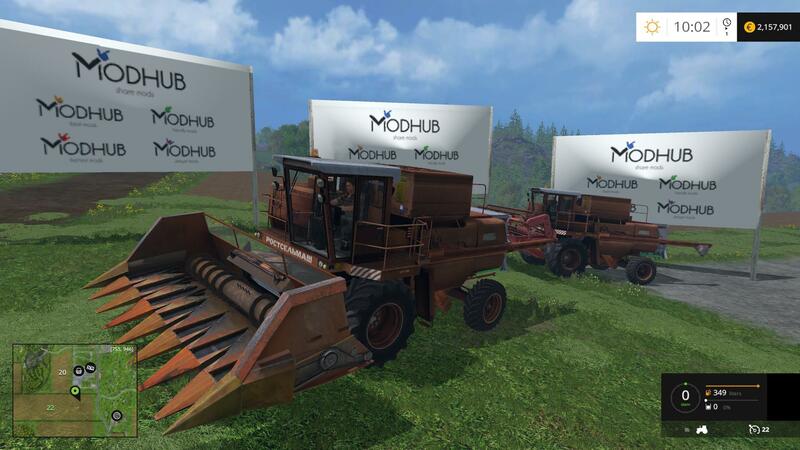 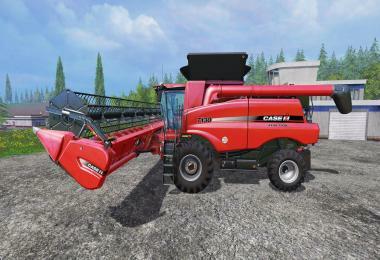 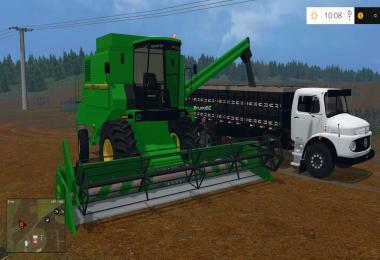 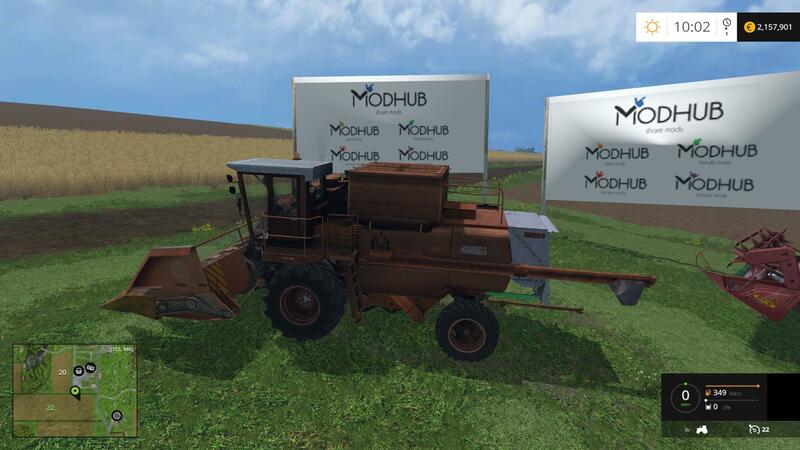 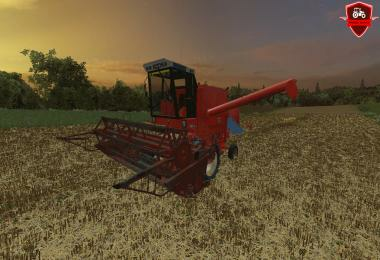 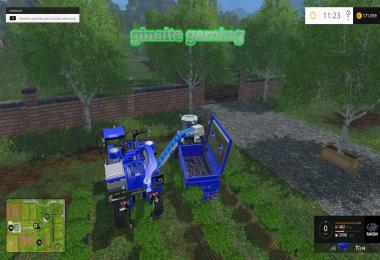 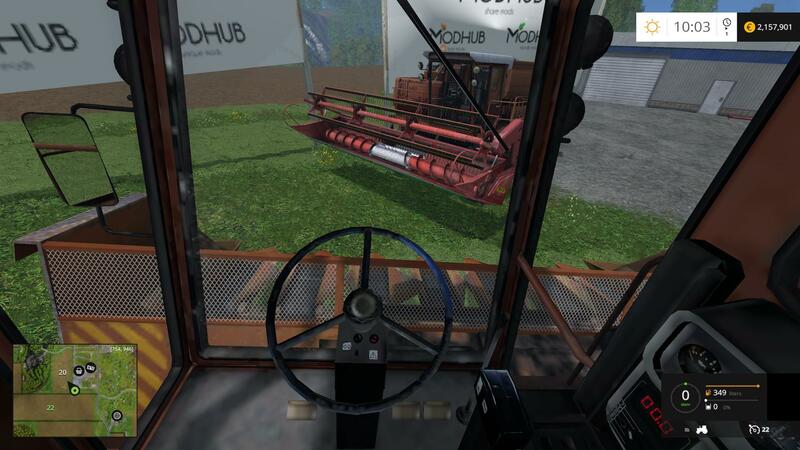 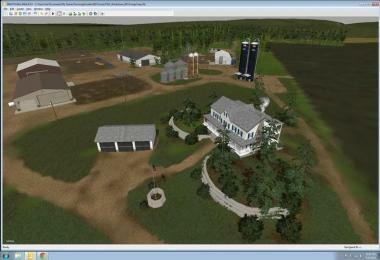 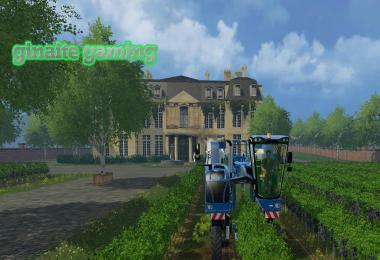 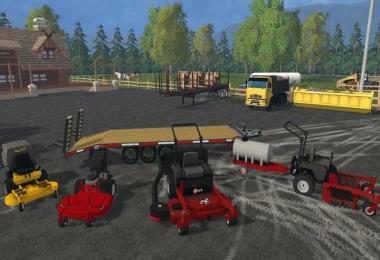 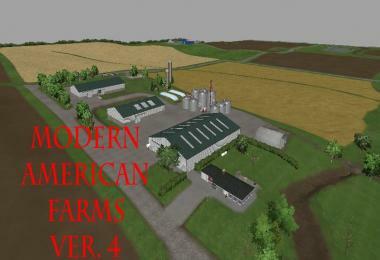 Mod DON 1500A tested on the game Farming Simulator 2015. 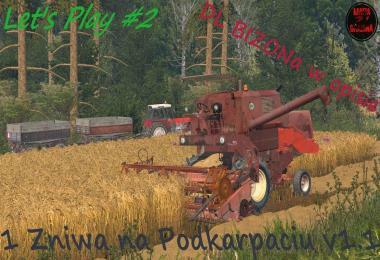 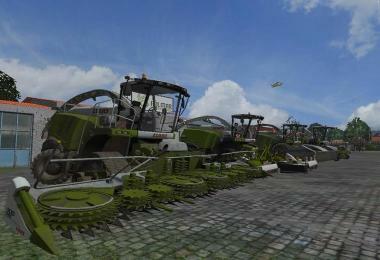 Combine harvester Soviet production. 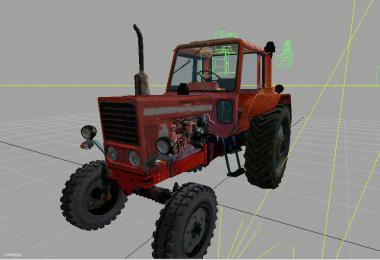 While moving exhibits dust, leaves traces and not all dirty. 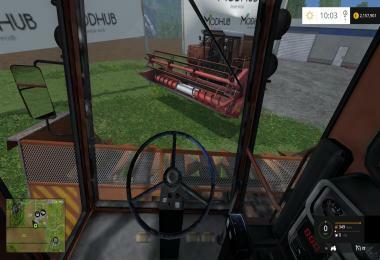 Light and has additional sanctification, the speedometer and the hopper capacity of 6000 l. As well as the door opens. 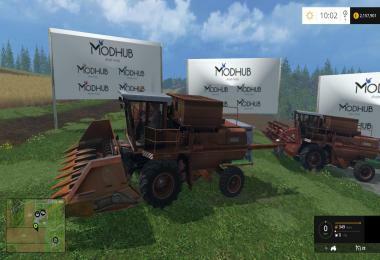 The set of three header, they are spoiled completely. 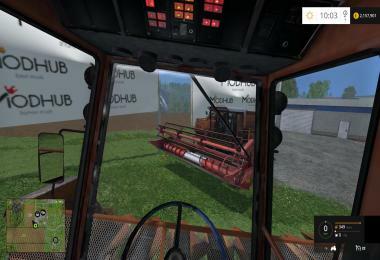 Header 6 meters and 9 meters mows wheat, barley and canola. 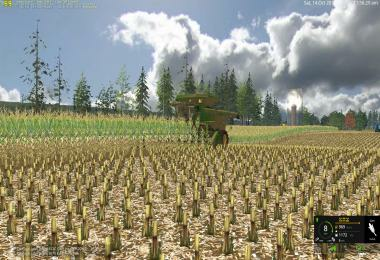 Maize 5.7 meters mows corn and sunflower. 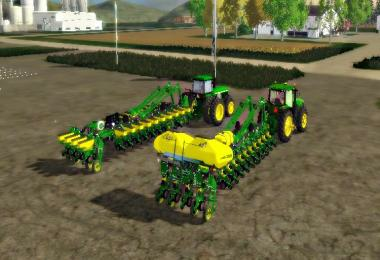 - Replace the corn header and replaced shaft 9-meter header. 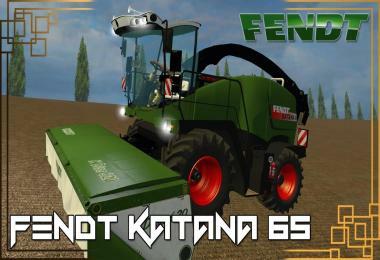 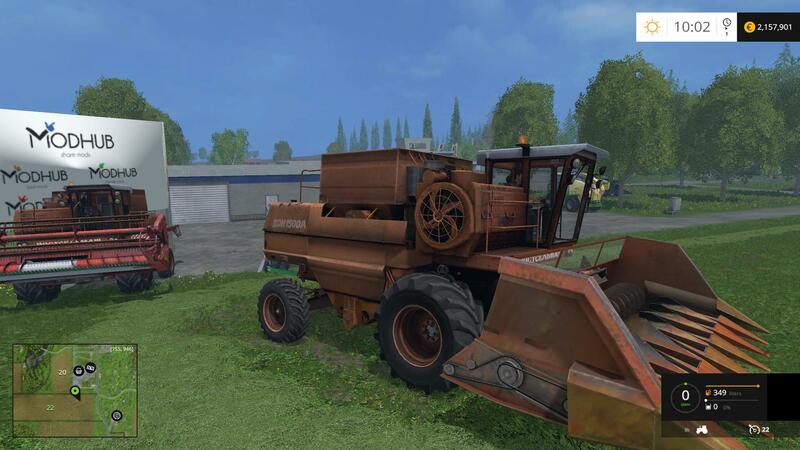 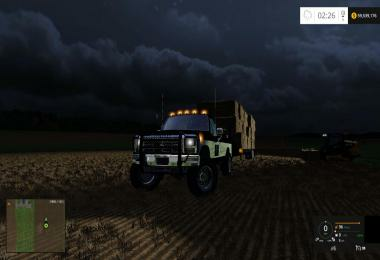 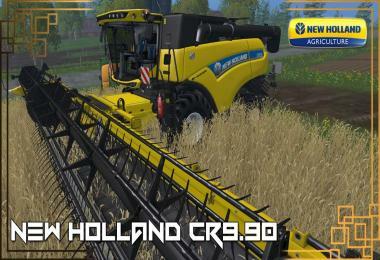 - Fixed flickering textures on the body of the combine, as well as soiled - as I could.